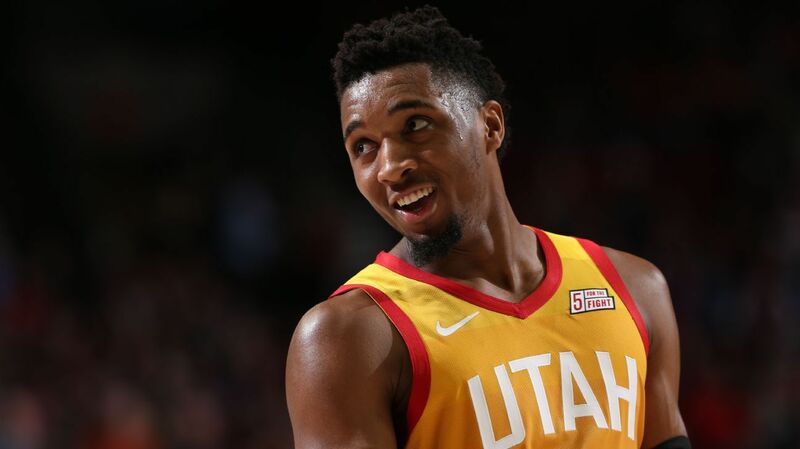 Utah Jazz star Donovan Mitchell left Friday's game after suffering a rib injury, the team announced. Mitchell emerged from the shadows last season to become one of the NBA's brightest young stars. He finished runner-up in 2017-18 Rookie of the Year voting after leading the Jazz with 20.5 points per game. A hamstring injury suffered during an Oct. 31 loss against the Minnesota Timberwolves kept Mitchell out multiple games. There was some uncertainty what kind of team Utah would have after Gordon Hayward left as a free agent in the summer of 2017. Mitchell's arrival kept the franchise in the Western Conference playoff picture, including winning a first-round series against the Oklahoma City Thunder. Because the Jazz are built around having a strong defense—they have finished in the top three of defensive efficiency in each of the past two seasons, per Basketball Reference—losing their most prolific scorer is going to cause a lot of problems for head coach Quin Snyder. Through 18 games into his second season, Mitchell leads the Jazz with 21.6 points per game. Rookie Grayson Allen could see an increase in playing time with Mitchell on the bench for the time being. The 2018 first-round pick shot 43 percent from the field in four seasons at Duke.